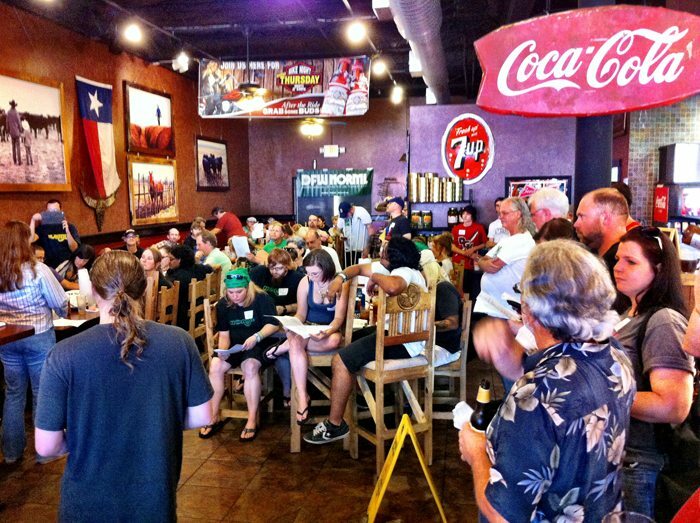 DFW NORML’s June meeting was our chapter’s most successful yet. 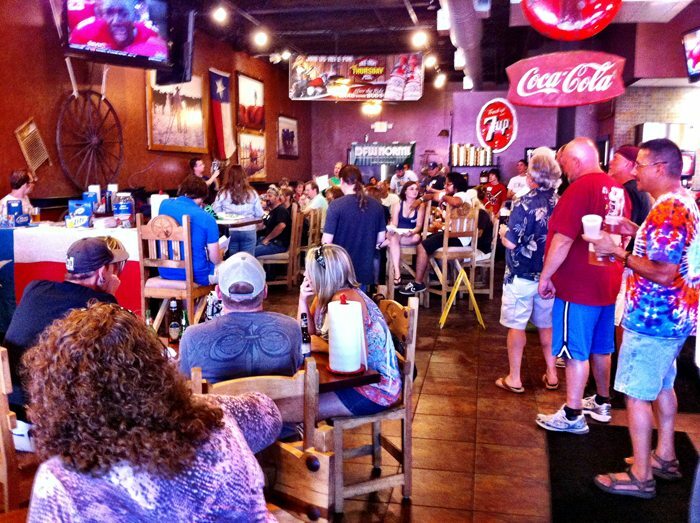 Over 100 people came out to Eddie Deen’s Crossroads in Arlington this weekend, and here is a recap of the meeting for anyone who missed it. Communications Director Will Jenkins is always a staple at our meetings and events, but he wasn’t there this Saturday because he and his wife Corrina were welcoming their third daughter into the world. Cambrie Jenkins was born on June 30, weighing 7 lbs 5 oz. We are delighted about the newest addition to our NORML family and wish Will and Corrina the best. 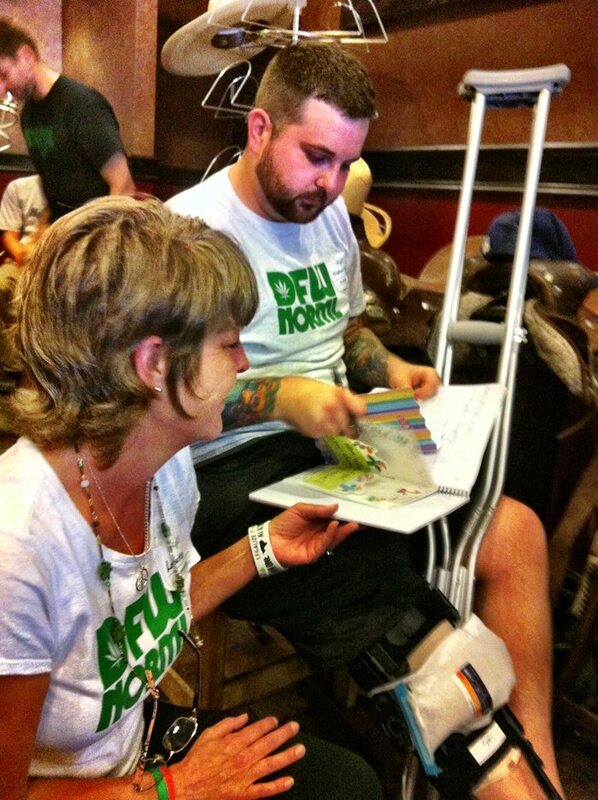 Our first DFW NORML baby! 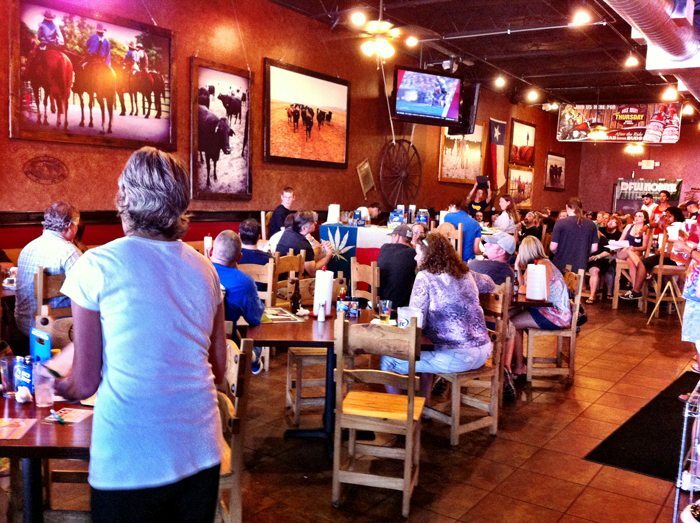 Meeting attendees were treated to a lot of valuable information about the ongoing efforts to legalize cannabis in Texas. We heard from Larry Tally, LEAP (Law Enforcement Against Prohibition) representative and former DFW NORML Director, about his efforts in Dallas County to work with community leaders and local law enforcement to develop harm reduction methods. Larry is working with leaders in the city of Dallas to encourage exploration of the option of ticketing rather than arresting marijuana offenders. 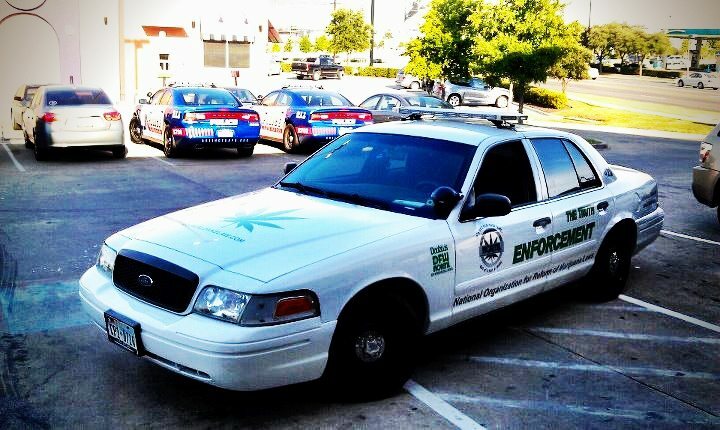 Last year, the Texas legislature passed a law that would allow police to write a ticket to those in possession of small amounts of marijuana rather than take them to jail. A court appearance later on is still required, but eliminating the actual arrest saves the state resources and saves the responsible adult cannabis user a night in jail. Larry is encouraging Dallas County to adopt this as their official policy, and urged everyone to see how they could begin to make changes like this on a local level in their own counties. 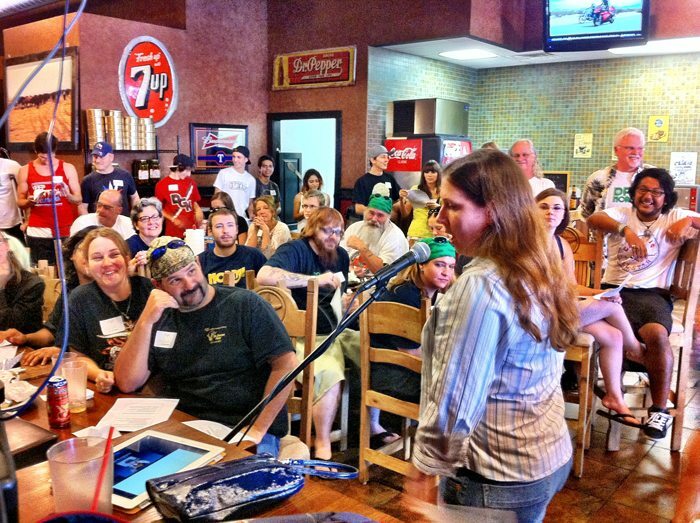 Saturday’s meeting was the first DFW NORML event that Audra and her family attended. Audra suffers from a rare neurological condition where her body undergoes pain so intense it is as if she were covered in 3rd degree burns. Audra’s pain was so bad that her body would constantly go into hours long spasms and seizures. With the help of her father, she told the story of how medical cannabis helped her live a real life. Her doctors were finally able to begin to control some of her symptoms using pharmaceuticals, and it is because of her use of medical cannabis that she is able to go out and experience her life. Because medical cannabis is illegal in Texas, Audra and other patients like herself have no legal means of obtaining their life changing medicine. Long-time DFW NORML member and NORML attorney Leslie Burgoyne discussed non-criminal penalties for marijuana possession in Texas. Leslie, who practices a great deal of family law as well, cautioned that marijuana use often becomes an issue in divorce and custody disputes. Child Protective Services in Texas also has a lot of power when it comes to investigating parental marijuana use allegations, and while they generally will not remove children from a home where only cannabis is used, they can require parental drug testing and regular home visits. Leslie also discussed the implications of marijuana use on civil, employment, and tax law issues. We are extremely lucky to have knowledgeable attorneys such as Leslie on our team as we fight for legalization in Texas. Colin Wham told us about his regular appearances on Deep Ellum On Air’s show Hungover with V to talk about DFW NORML and our local and state legalization efforts as well as to promote our various events. As we continue to grow in North Texas, it is imperative that we keep networking and reaching out to a wide audience of supporters through local media like Deep Ellum On Air. 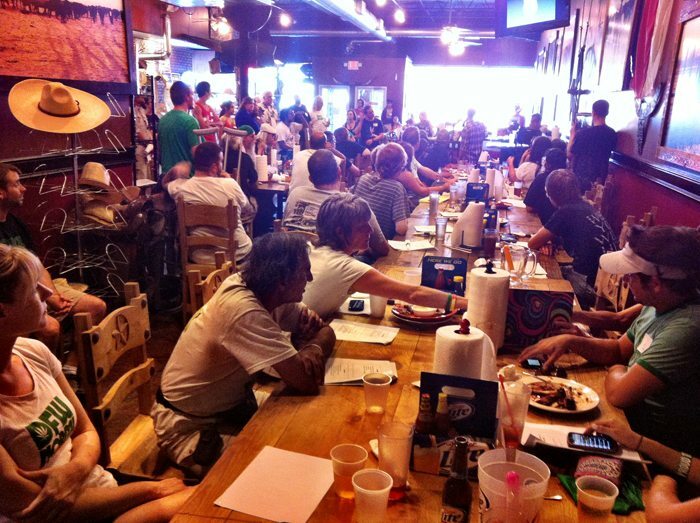 We’ll see you again on Saturday, July 21 for our National NORML fundraiser at Froggys Boat House in Fort Worth. This is the same awesome venue that we had for our 4/20 party, and we will have music from Pistol Packin’ Mama, The Gypsy Bravado, Great Dane and the Dirty South Blues Bros., The Vatican Press, and The Effinays. 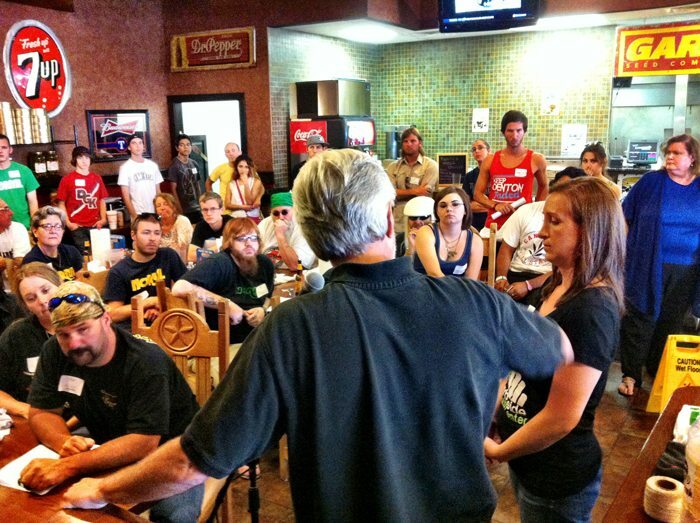 Part of our duties as a local NORML chapter include donating a portion of our proceeds to the national organization. Cover is only $5, so let’s keep up our record breaking streak and throw a fundraiser that shows National NORML how we do things in Texas! We had some trouble with our UStream this time around, but next month we’ll have a higher quality setup for those of you that aren’t able to make the meetings.